When I studied Shakespeare in college, one of the requirements of the class was to watch each of the plays we were studying. Before that year, other than the couple of times I had seen live performances of a Shakespeare play, I had only read the plays, never watched a video. However, since it was an assignment for class, I made my way over to the audio/visual library on campus and checked out my first Shakespeare video, Richard II*. It was marvelous. I had already read the play and watching it helped me to understand even more what was occurring in the play. With facial expressions, props, costumes, and even the way the actors said their parts, I was drawn into the action of the play even more than when I had read them. Since that time, I have watched many of Shakespeare’s plays. Sometimes it was to go along with whatever play we were studying at the time and sometimes just for the fun of it. I am listing the plays I have watched below with a brief idea of why I liked it (or not). I hope to continue watching Shakespeare on video. In fact, I am eagerly awaiting my turn for our library’s copy of BBC’s The Hollow Crown series. Much Ado About Nothing – Kenneth Branagh, Denzel Washington, and Emma Thompson. This is my favorite of Branagh’s Shakespeare films. It is just so fun to watch. Also, I love Michael Keaton as Dogberry. A Midsummer Night’s Dream – I’ve seen the BBC production and the 1999 film. I liked both. The BBC production has Helen Mirren as Titania, , Peter McEnery, and Geoffrey Palmer. My favorite is the 1999 film. It is delightful with Rupert Everett as Oberon, Stanley Tucci is a fantastic Puck, Michelle Pfeiffer as a beautiful, slightly dim Titania, and Kevin Kline as Bottom. They use Mendelssohn’s music and it is simply magical. I have yet to see the Royal Shakespeare Company production of the play with Ian Holm, Judi Dench, Ian Richardson, Diana Rigg, Helen Mirren, and Sebastian Shaw. The Merchant of Venice with Al Pacino as Shylock, Joseph Fiennes, Jeremy Irons and Lynn Collins. While I liked this movie, there were things about it that I didn’t like. I enjoyed Lynn Collins but I didn’t care for Jeremy Irons as much as I had hoped I would. Al Pacino is very good although I’m not sure I completely agree with the way he interpreted the role. I long to see the 1973 version with Laurence Olivier and Joan Plowright if I can find a copy. The Taming of the Shrew – I have seen two versions of this play: the famous Richard Burton/Elizabeth Taylor version and the BBC production with John Cleese. Both have their issues and while it is interesting to watch one of the Monty Python cast playing Shakespeare, the Burton/Taylor version is just so fun and what chemistry between them! The Tempest – I have only seen the version with Helen Mirren as Prospera. I had never seen Prospero played by a woman and Helen Mirren is always good, but I’d like to find another version to watch. Love’s Labour’s Lost with Kenneth Branagh and Alicia Silverstone. It’s Shakespeare as a musical and while not perfect, an enjoyable way to spend the evening. MacBeth – The version with Ian McKellan and Judi Dench was good but not so compelling that I have wanted to see it again. Hamlet – Kenneth Branagh’s version is the entire play and over four hours long. Excellent and well worth the time spent. Romeo and Juliet – I have seen both the Franco Zeffirelli and the Claire Danes/Leo Dicaprio versions. I prefer the Zeffirelli version. It is beautifully filmed and catches the tragedy of the play so, so well. Henry V – Laurence Olivier is wonderful as Henry V, Kenneth Branagh’s music score makes his Henry V one of the best Shakespeare films to watch (I cry every time I watch the scene after the St. Crispin’s Day battle when they sing Non Nobis), and David Gwillim does a great job of playing Henry in the BBC. Watch all three and decide which you like best. Richard III with Laurence Olivier is a classic. Although I don’t agree with Shakespeare’s portrayal of Richard, no one can deny that Olivier does a fantastic job playing the evil hunchback who wanted England’s throne so much that he would kill children. *BBC’s productions of the plays: These are a good place to start. Some of England’s great character actors play in these and many of them are excellent; most are very good. They are often more like a stage production than a film though. When you first approach reading Shakespeare, it can be a daunting experience. Even though I grew up reading the King James version of the Bible with similar language, I still found Shakespeare a difficult read unless I had a teacher holding my hand throughout the play. I could understand the basic plot line and even some of the language, but many of the jokes, the history, and the language went over my head. When I first started planning to teach Shakespeare to my children, I knew I was going to need some help. Three things especially have made an enormous difference in our Shakespeare studies. First, whenever I could find them, we would use the Oxford School Shakespeare editions of the plays. Each volume contains a synopsis, commentary, and extensive line by line notes on the language, jokes, people, places, and history. There are also discussion questions and a book list in the back for more information. Throughout each book, there are black and white photographs of the play being performed. I have grown a lot in my understanding of each of the plays for which I’ve had this version. Second, we listen to the play while we read. The Complete Arkangel Shakespeare recordings are the best approach to the play, in my opinion. While many people say that everyone should take parts and read it aloud, I did not feel confident to do so and neither did my children. Now we can listen to Shakespearean actors act out the play on audio while we follow along. These recordings are brilliant and make all of the difference in bringing Shakespeare alive. Third, I read commentaries on the play for myself before, during, and after I read the play. 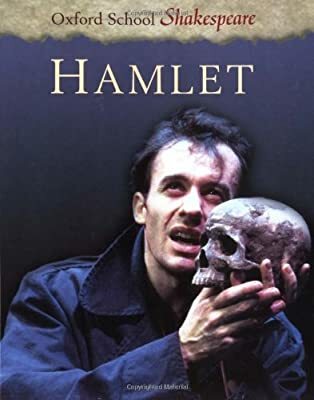 The two books I read most often are Harold Bloom’s Shakespeare: The Invention of the Human and Brightest Heaven of Invention: A Christian Guide to Six Shakespeare Plays by Peter Leithart. Both of these books have been a great help in understanding what Shakespeare is doing. I may not always agree with the author but at least it gives me a starting place in my thinking about the play. Just recently I heard about Shakespeare After All by Marjorie Garber. I just picked it up at the library today and am hoping to dip into it for my reading of Hamlet. Another resource that has been a great help is Peter Saccio’s lectures on Shakespeare, two of The Great Courses lecture series. My library carries these series and Dr. Saccio is an engaging teacher who “unpacks” each play thoroughly and winsomely. I recommend them. Of course, many teachers recommend watching Shakespeare whenever possible and we do that, too. I will write about some of our experiences another day. I hope these helps in reading Shakespeare will make a difference in your reading, whether you are reading on your own, for a class, or with your family. Who wants to read Hamlet in January? There is a new online book club, The Literary Classics Online Book Club, which plans to read a classic work of literature every other month. The first month TLCOBC will post interesting facts and background information on their blog and social media sites while everyone reads (or listens to) the book. Then the second month, the club will host discussions about the book for anyone to participate in. The first book they have chosen to read is Hamlet by William Shakespeare, often considered one of Shakespeare’s greatest plays. Andrew Kern from The Circe Institute has spoken and written about this play many times and is he is in the middle of a podcast series on Hamlet (the first of which you can find here). Before listening to the podcasts I have been meaning to re-read the play and this seems like the perfect opportunity. Besides, wouldn’t it be fun to read the play, listen to Andrew talk about it and then join in a discussion? Who’s game?